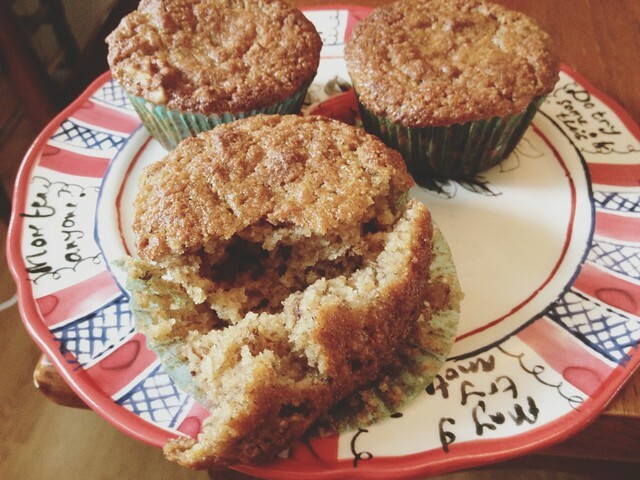 paleo/primal and a muffin recipe! 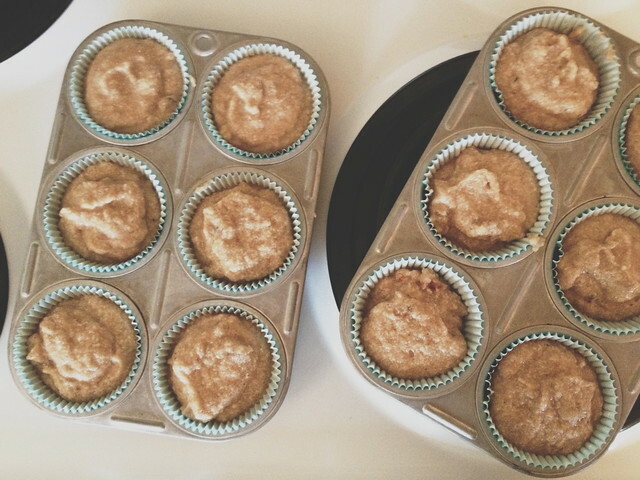 | Anna Allen Clothing Blog: paleo/primal and a muffin recipe! 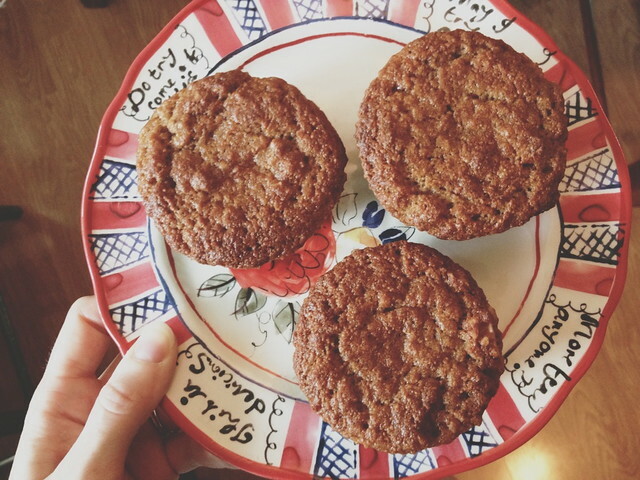 paleo/primal and a muffin recipe! Thought you wouldn't see me for another 6 months, didn't you? Well, I'm trying really hard to blog more often, mainly because I miss the blogging world so much! I miss writing about my cooking and sewing adventures. I LOVE my iphone, but sometimes it makes it difficult for me to transfer pictures into blog posts, instead I end up "instagraming" them. 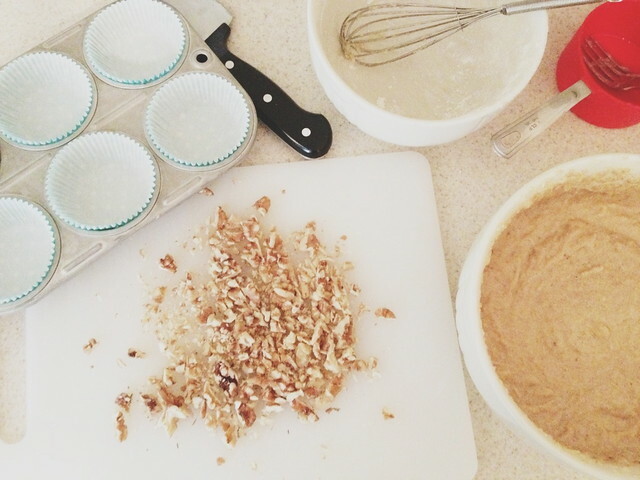 Today I planned to make some muffins and thought what is better than a muffin blog post. 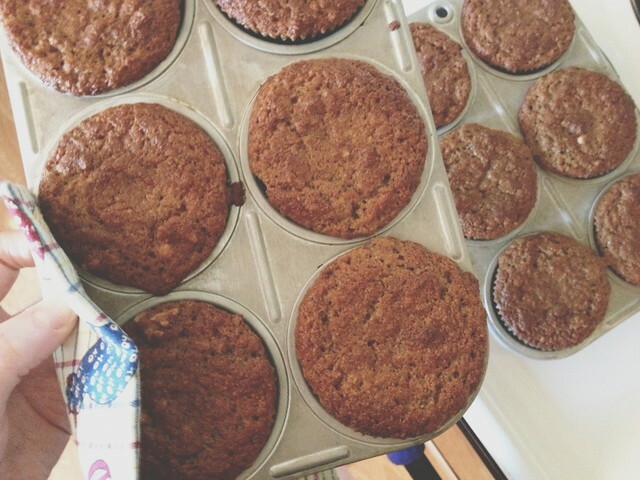 Oh, but not just any muffins, these are paleo/primal muffins! Don't know what paleo/primal is? Well, it's my new way of eating! Basically, paleo/primal way of eating is cutting out all grains (yes, even corn), legumes and processed foods and some people cut out milk as well. It really also depends if you have intolerances to anything. If you find you do, you cut those out as well. This summer I decided to go gluten free. It actually wasn't that hard, because I found there were lots of things I could eat, including LOTS of junk food! After doing that for about a month, I was thinking that I'd really like to find a better way to eat to keep me from eating so much junk foods, just because they say they are gluten free. While the rash had gone down a ton, it still wasn't completely gone yet and I was thinking maybe it would be good to cut out other grains in my diet, even some gluten free ones. So I looked up "grain-free" and found out about the paleo/primal lifestyle. At first it seemed like a lot to do, then I read more about it and figured out that a lot of people tailor the paleo lifestyle to their needs. For instance, a lot of paleo hardcores seem to cut out a lot of starches and milk etc. But I don't think they are bad in moderation. I think that's where primal comes in, as they tend to add in more of those things than the paleo diet does. Simply put, the paleo/primal diet is basically vegetables, meats and fats. Then you can add in other starches, fruit/sugar depending on your needs. I also wanted a diet where I didn't have to always count calories, because whenever I count calories I always end up eating way more sugar than healthy foods! And I want a well balanced healthy diet, while still enjoying some healthier snacks and sweets now and then. I actually love that the paleo diet is big on fats. It makes cooking so much easier! I don't have to worry about skimping on fat or protein and I'm finding I'm eating a lot more meat and vegetables than I had before. Of course, I've only been gradually building up to this lifestyle, so I'm far from where I want to be. I'm just happy that I feel like I have some sort of a goal now, instead of feeling utterly confused at what kinds of foods I need. Now I have a better idea of the foods I should eat more of and the foods I should try to avoid. And it also helps that when I go "off" the paleo/primal lifestyle, like when going out to eat, I can just worry about being gluten free so that my rash doesn't come back. Also, I will say living in Colorado makes eating gluten free a lot easier. Almost every restaurant I've been to here has gluten free options. Not just gluten free crackers and cheese! from Primal Cravings cookbook, also on their blog Health Bent. Preheat oven to 350°F. Line a standard muffin tin with paper liners. In a large bowl, whisk together coconut flour, tapioca flour, baking soda and salt, spices if you are using them. In another large bowl, whisk together butter, sugar, bananas, vanilla extract, and eggs. Whisk the dry ingredients into the wet ingredients. Gently fold in the chocolate chips and walnuts. Divide batter among the lined muffin cups. Bake until the muffins have puffed and the edges have slightly browned, about 20-25 minutes (mine took more like 30-35 min). P.S. I forgot to add, the muffins were outstanding! Really can't tell the difference between "normal" muffins and these. By the way, if you like coffee, these are brilliant paired with a cup of black coffee (the way I like it best). Yum! So has your itchy rash gone away? So curious! Larissa, sorry I guess I didn't really say whether or not it did go away, did I?!! YES, it has! Well, mostly it has. I haven't been 100% perfect gluten free since we just moved to Colorado and sometimes it's hard to know everything I am eating. Also made the mistake of eating dried fruit/nuts that I knew probably weren't gluten free and it made me a little itchy. But otherwise, the rash hardly itches and it's disappearing. Pretty good seeing as I've had this thing for almost five years! I'm convinced I have a problem with gluten. I recently bought a bag of that exact same coconut flour for use in a zucchini bread recipe. 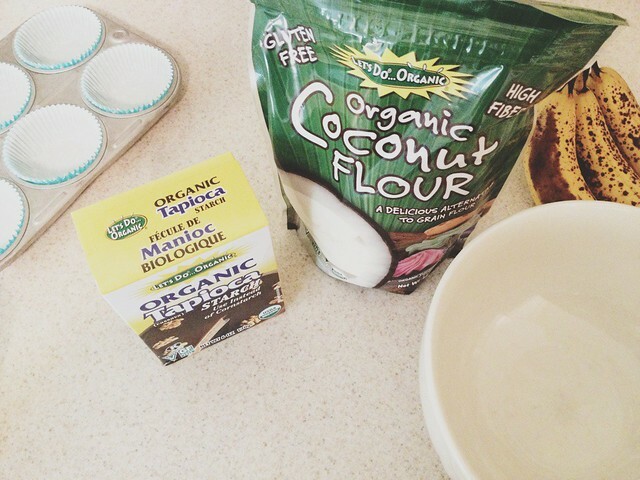 AFTER I bought it, I read that many people have a hard time with coconut flour (tummy problems), so I didn't use it. I don't want to waste it, so I wondered if you had any issues. I realllly want to try your recipe, as is. Looks so good! Chelsea, you definitely should try going gluten free! See how you feel after a few weeks. It's kind of hard at first if you have never done it before, but just familiarize yourself with foods you CAN eat and you will be fine. And thank you for reading my blog! I'm sure my readers have gone way down in the last year or so. I've been such a sporadic blogger. Dina, I haven't heard about problems with coconut flour, but I am sure there are people who do have issues with it. This is the first time I've had it, so I can't say for sure if I will have issues. Though so far no problems! I'll let you know if I find out I do have issues with it. It's one of the flours that they recommend if you are on a primal diet. I know a lot of paleo people prefer almond flour, but I don't like eating THAT many nuts, so was happy to find recipes using coconut flour instead. Oh and on the dried fruit and nuts... There is this specific store brand that I know labels everything that is specifically gluten free stating that it is so. This package did not have gluten free on it, so I knew it probably was contaminated by wheat. I ate it anyway because I was having "one of those days" and of course I started itching the next day. Live and learn! Awesome that you've found some relief via a paleo/primal way of eating! I went that direction myself several years back, and honest to god I have never felt better. So much peppier than I was before, pre-transition. Related: there's a book you simply must get your cooking/baking-hands on. It's this: http://www.amazon.com/Paleo-Indulgences-Healthy-Gluten-Free-Cravings/dp/1936608685. AMAZING recipes, I tell ya. I'd love to know if your rash went away too. I have a rash that comes and goes and have had for years behind my knees and it's been diagnosed as eczema also. I'm realizing when I eat more grains it does get worse. So I'm moving towards a glutenless diet. Muffins sound delish! I will give them a try! Hi, Julie! Yes, the rash has gone *mostly* away. I think it is taking me a little time to adjust mainly because when I did start the gluten free diet a month ago, I wasn't perfect. For instance, we ate out at Thai restaurants a lot and I know most asian food is contaminated with wheat. And last week I ate some food that I had a reaction to this week. Basically, if I stay away from packaged foods or foods that I'm not certain are gluten free, the rash goes away. It seems to take about a week to clear up when I've been "glutened." So anyway, yes, it really has helped. I recommend gluten free! It's really not as hard as it seems. And you can always give it a trial run and see how it affects you. Good luck! Cutting out gluten has helped a couple of issues for me. I can directly trace several unpleasant effects to eating it. If you haven't cut out grain based vegetable oils, you might want to try that too. They have really high levels of omega-6 fatty acids. If you really want to make it work, you have to give up what Kurt Harris calls "candy cigarettes" (http://www.archevore.com/panu-weblog/2010/1/13/smoking-candy-cigarettes.html). You'll be glad you did.